As I mentioned earlier, I have woven baskets using natural materials for years. The Adirondack pack basket was the most popular style that I made. 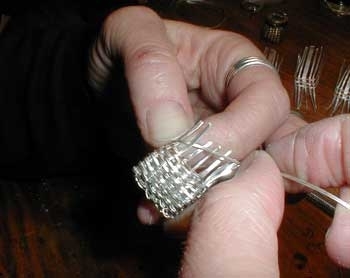 With the help of my parents silver basket weaving experience, I have reproduced the pack basket in miniature, in sterling and fine silver. 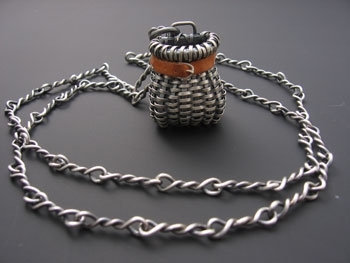 My parents, Butch and Pat Bramhall are very talented, well known silversmiths and have spent years weaving baskets with silver and gold. 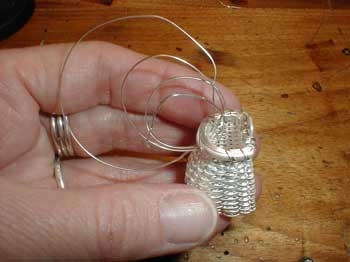 They started weaving miniatures and now also make full size baskets. Their work has been showcased in several magazines and art exhibits and has earned them numerous awards throughout the years. I thank them for all their knowledge, support and encouragement.